Andrew Crawford, Luis Rubio-Martinez, Nigel Woodford and Hannah-Sophie Chapman are our full-time surgeons. 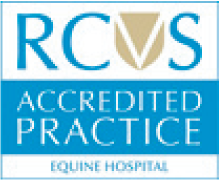 They are RCVS/American/European recognised specialists in Equine Surgery, meaning they have undergone a long-standardised training programme in equine surgery (under the strict guidelines of the American or European College of Veterinary Surgeons), hold a number of post-graduate qualifications, and are required to regularly up-skill in order to retain their specialist status. For further details on the individual members of the team, please refer to the SEH Team section. Other less conventional surgical procedures. Rob Pascoe, BVSc, BAEDT, Dipl.AVDC, MRCVS, RCVS Specialist in Veterinary Dentistry (Equine), American Veterinary Specialist in Dentistry (Equine). A team of anaesthetist, specialist surgeon and nurses are on standby 24 hours a day to perform elective and emergency procedures in our dedicated surgical suite. Many procedures can be performed standing on the sedated horse; however, other procedures require general anaesthesia. A dedicated trained anaesthetist will be in charge of the standing sedation or the general anaesthesia while the surgery is completed. 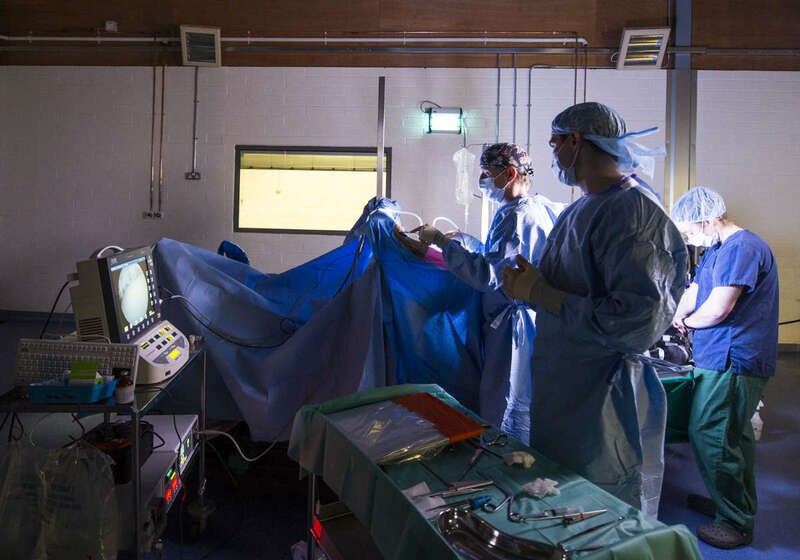 Patients are carefully monitored during general anaesthesia by trained veterinary surgeons using ECG, arterial blood pressure recording, blood gas and electrolyte monitoring. 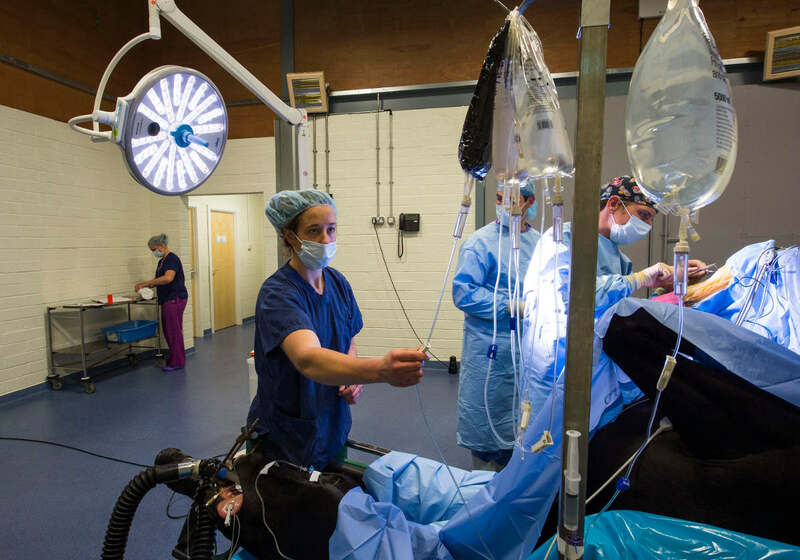 Positive pressure ventilation can be used where appropriate to help anaesthetised horses to breathe, the induction of and recovery from anaesthesia takes place in our fully padded stalls. A rope-system is available and in use to help horses stand up after general anaesthesia.